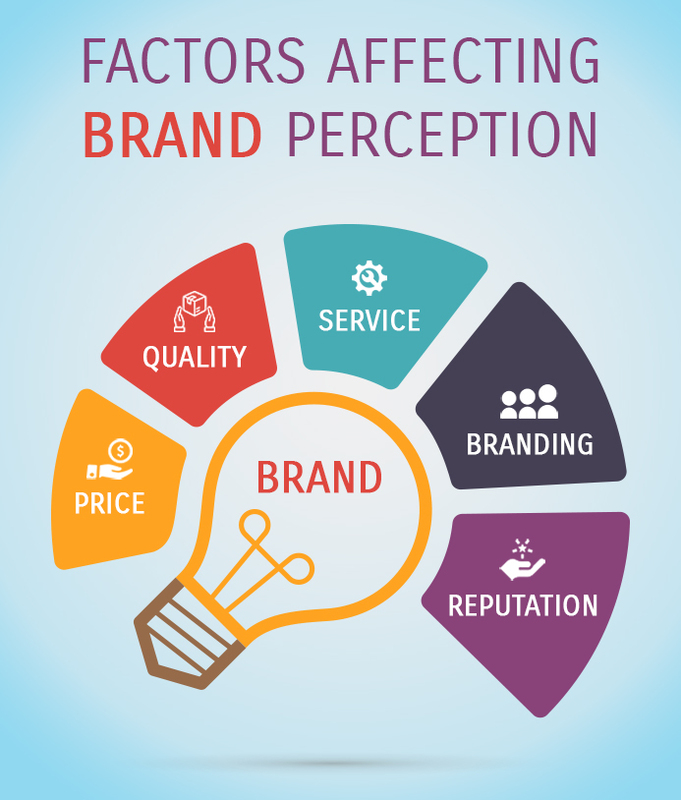 What Is Brand Perception and How Does it Impact Your Bottom Line? “Products are designed in factories, but brands are made in mind,” said branding leader Walter Landor. It is easy to calculate the physical value of your products and services, but your customers’ perception is what really determines the value your brand has in the marketplace. And therefore, a healthcare marketer’s ability to build value into the brand and communicate that value to the target audience through different marketing strategies is essential to the long-term success of his or her medical practice. Simply put, patient perception is what your existing and potential patients think of your medical practice. This perception impacts the acquisition of new patients and the ability to maintain good relationships with existing patients. Patients want good healthcare, but they also want to know they are getting the best value. This value is not just judged by the price of your products or services but by the availability and extent of the patient care that supports it. It is not enough to have brand awareness. Patients today also want to feel good about their healthcare provider. Advertising: The healthcare marketing campaigns your practice runs offer implied perceptions about your service and products. What you say about your brand and the messages you deliver help your existing and potential patients form opinions. Influencers: Social media influencers who surround a brand have a massive impact on people’s buying decisions. Human nature is such that people listen to the opinions and thoughts of famous and successful celebrities around them. Patient’s personal experience: This is one of the biggest factors that contribute to patient perception. If your patients are experiencing firsthand the quality of your products or services or the responsiveness of your staff, they will end up forming a positive or negative image of your brand. If you want to know what your target audience thinks of your practice and services, start by listening to your target audience. Online communities are dense, but there are tactics to measure brand perception. 1. Set up Google Alerts: If you do not have the time to monitor the Internet for your brand mentions, Google Alerts can do it for you. You just need to create alerts for company or competitor names, keywords and phrases that you would like to monitor. Whenever those keywords appear online, you will receive an email alert from Google. 2. Monitor online reviews: According to a Brightlocal survey, almost 91 percent of people trust online reviews as much as personal recommendations. Online review sites like Healthgrades and Yelp are ripe with patient feedback, and you can bet potential patients are reading them as they evaluate your practice. Social listening tools can alert you to these reviews and brand mentions, but it is a safe practice to track reviews regularly and encourage happy patients to share positive feedback publicly. 3. Be active on social networks: Social networks are rising to the top of all business engagement channels. In fact, a majority of customers expect brands to offer services on social media platforms, and most potential and existing patients are likely to communicate with your brand through social networks. Medical practices that up their social media game see impressive results as people are increasingly using social networks to research services and healthcare providers. 4. Use customer surveys: Patient surveys are one of the best tools for measuring brand perception. Different types of surveys can help you capture feedback at critical moments of the customer journey. A customer satisfaction survey (CSAT) can help you measure customers’ sentiments by asking targeted questions. 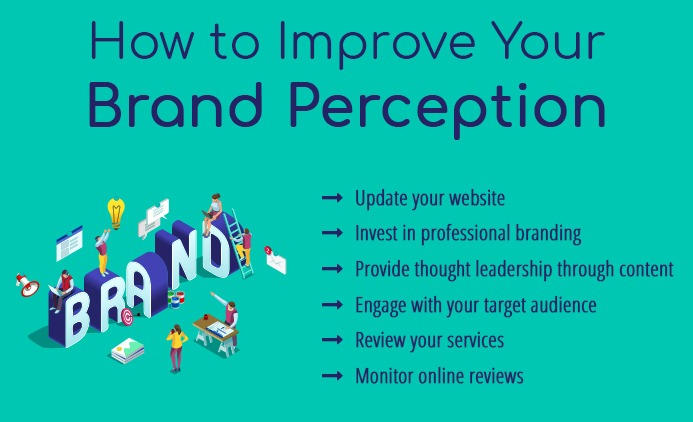 Do you see a gap in your brand perception? 1. How patients perceive your brand may differ from your understanding of it. Your patients could have different concepts in their minds than the ones you tried to build through various branding campaigns. You will need data to work with, and you can get that data from patient surveys. This is not cold-calling your patients to have them rate your business. It is about giving your existing patients a convenient format to express their opinion. 2. Start with how patients perceive your brand. Do you think your staff is always available to help them? Do they think you are a patient-friendly and trustworthy practice? These are essential questions for local medical practices. Larger hospitals need to give more attention to how their patients view their staff, especially if they have numerous branches providing different services. 3. Think this way: Perception is reality. Paul Jankowski said on Forbes.com: “…the loudest voice tends to create a ‘perceived reality’…” If your loudest voice, e.g., a negative review, makes it into the social networks, the damage could be far-reaching. It is essential to know what the loudest voices are saying about your brand. 4. Provide perceived value to your patients. If you do not deliver value that is considered “good enough” by your patients, your brand will not hold up over time. If your patients are not sure about the brand value, they will end up choosing your competitor and take their business elsewhere. Is it possible to create or change patient perception? Medical practices have all the necessary marketing tools to create a positive experience for their patients; and even when unforeseen events result in unpleasant experiences, the best medical practices rise to the challenge and win back an unhappy patient. It all begins by managing foundational elements within the practice’s control. Never make false promises: Medical practices should strive for truth in marketing and in general communication. If you claim a product does something, make sure it actually does it. When a patient calls your office and asks for help, either do not commit to helping or if you do, then do everything in your power to help that patient. Listen: This is often the biggest challenge for most practices. When patients talk (in person or on the phone), listen. If a patient is complaining, it is easy to stop paying attention or to listen just to answer back. However, it is important to listen to what patient’s expressed need is and make sure your solution resolves the problem. Communicate: Clearly, quickly and often. Train your staff to be responsive, knowledgeable and compassionate when communicating with patients. Make sure your staff is providing facts, not excuses. Use social media channels effectively: Social networks have created an open forum for customer feedback, which has resulted in unique opportunities and challenges for brand communication. A lot of social networks track a brand’s responsiveness to customers and rates them accordingly. Responding quickly and professionally will not only result in a positive outcome but also increase a favorable impression about your practice. However, be proactive when negative feedback comes up on social networks and work to rectify the issue publicly. Patient perception is about feelings and facts. From the first patient touchpoint to the last, the entire practice is involved in this perception-making process and can contribute to it positively. Patients not only need to feel good about your brand and services, but they also need to be treated well, and the products need to perform as claimed. When problems occur, it is essential to communicate effectively, manage expectations and work to resolve the problem while making the patient feel respected and valued. This will make it easier to create an environment for positive patient perception from the beginning of the patient journey rather than to fix a negative perception.